Jamie Holmes: Gothic, folklore crow. 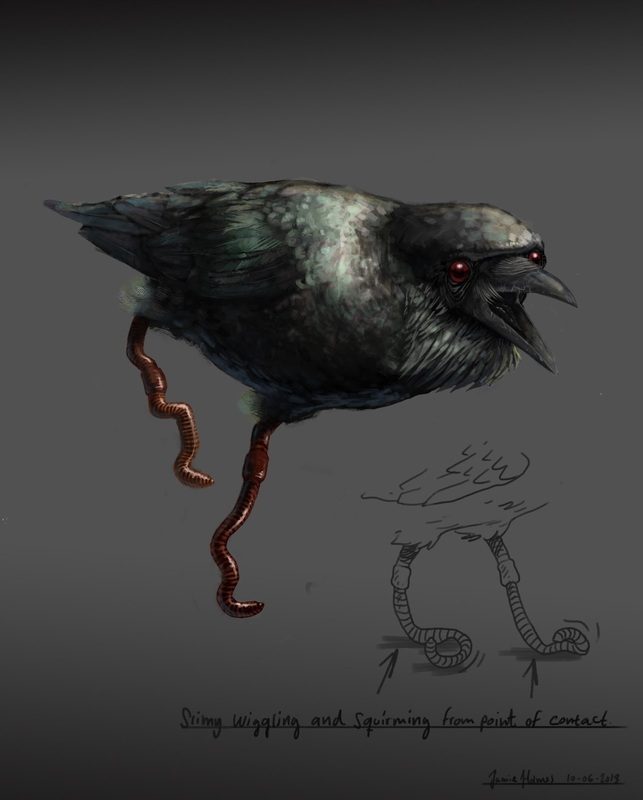 I was contacted by a company and asked to do a concept for a creepy crow with a strange angle to it for some kind of live action thing. Later I got informed they had found a work around and did not need the drawings. I decided to do an idea for it that had been lurking around in the back of my mind in my own time. oh Jamie, if only you'd waited 4 days, you'd have a perfect yearly post : june 22nd! I have decided to really over do it this year and make 2 posts! Also I am gonna add you to my links because you make awesome stuff.